Well, well... I got to say this set is a steal!! 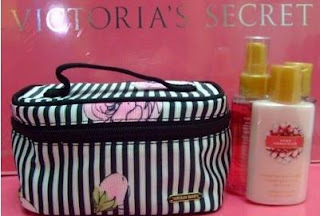 # The makeup case comes with a gold toned metal 'Victoria Secret' logo on the bottom left hand corner of the bag. Hurry, grab now. Selling for only RM150.. I told you it's a steal right?